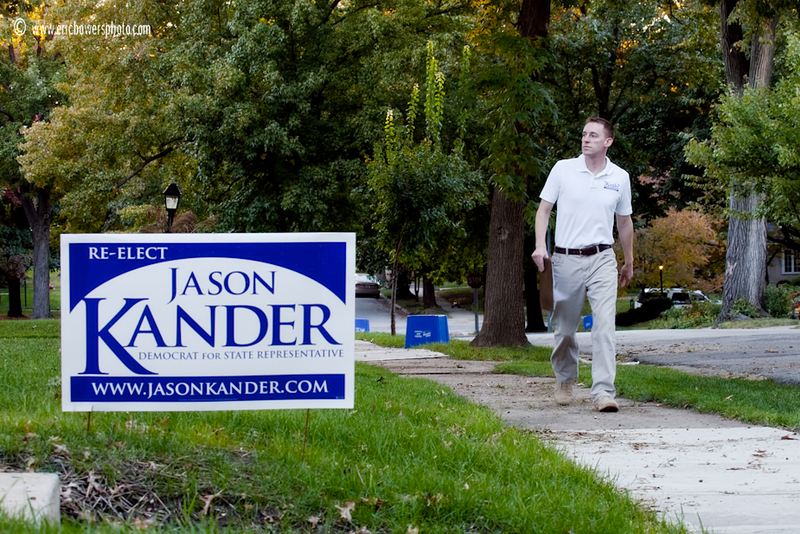 On Thursday evening I took a few shots for Jason Kander to utilize in his campaign for re-election as State Representative for the 44th District in Missouri, which falls in the boundaries of a good section of KCMO. Jason and I were 1999 graduates of Bishop Miege High School. November elections are less than a month away now, so Jason and all others seeking higher office are keeping busy these days. 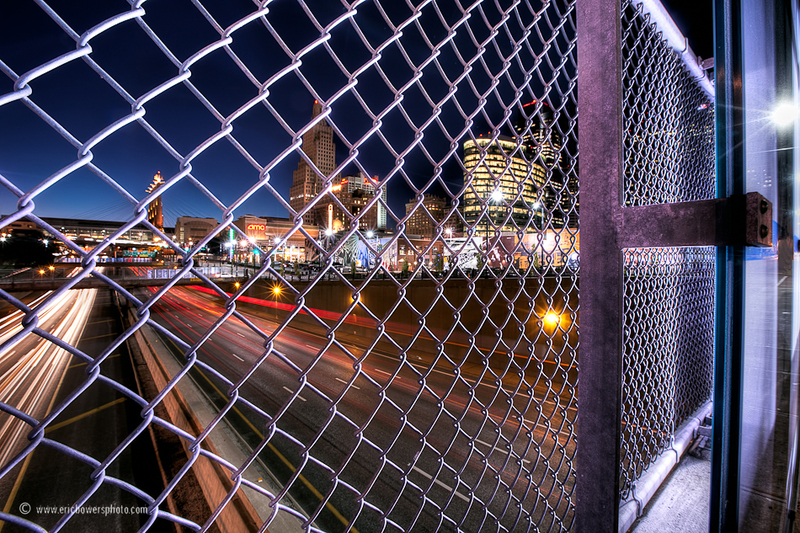 On Monday evening while gathering a couple extra Kauffman Center shots I was lucky enough to come across something else I liked with the downtown highway loop and the bridge fencing at Grand and Truman Road. Sure it’s horrid urban planning with Interstate highways choking off huge sections of downtown, but it can make for fun photos. Also, it’s about time I update my site’s gallery with more recent stuff from this past spring and summer, some of which you may have seen photoblogged previously. 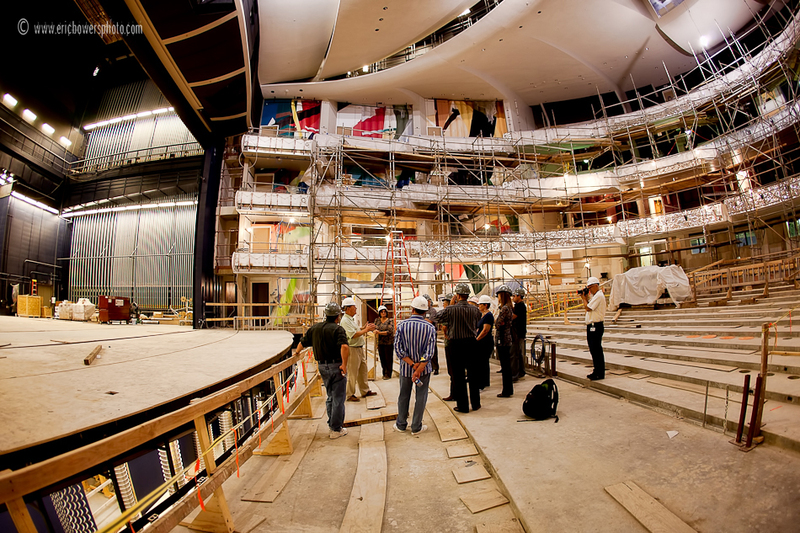 Check out the May Thru July 2010 Gallery by clicking here. 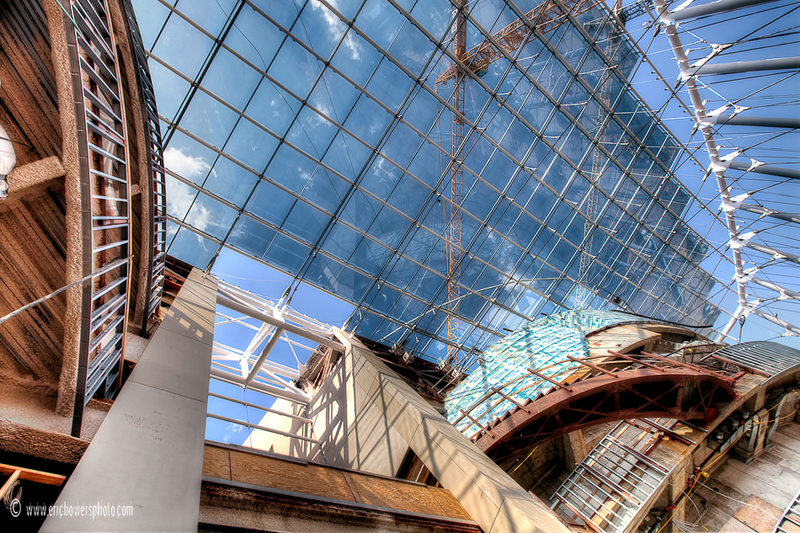 Also, the new set of photos is the featured gallery on my portfolio site’s homepage, so a slideshow of the 128 images can be seen just by going to https://www.ericbowersphoto.com. 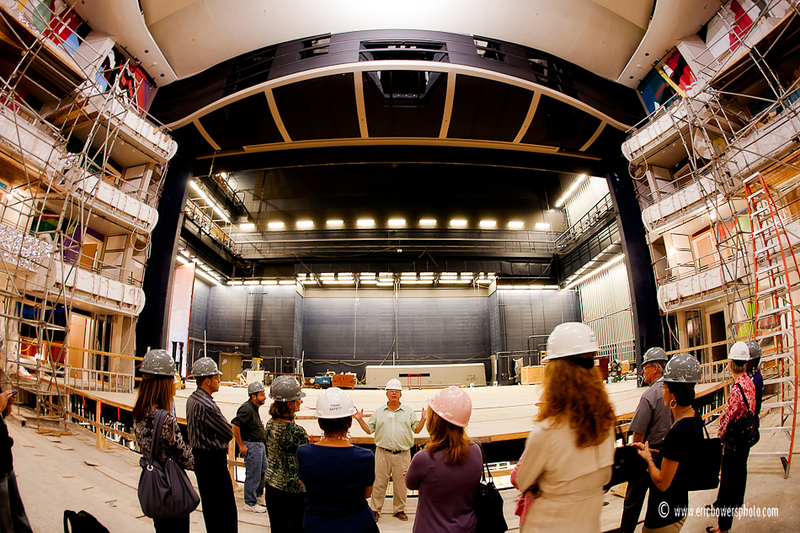 More shots from my visit to the inside of the new Kauffman Center on September 20th. 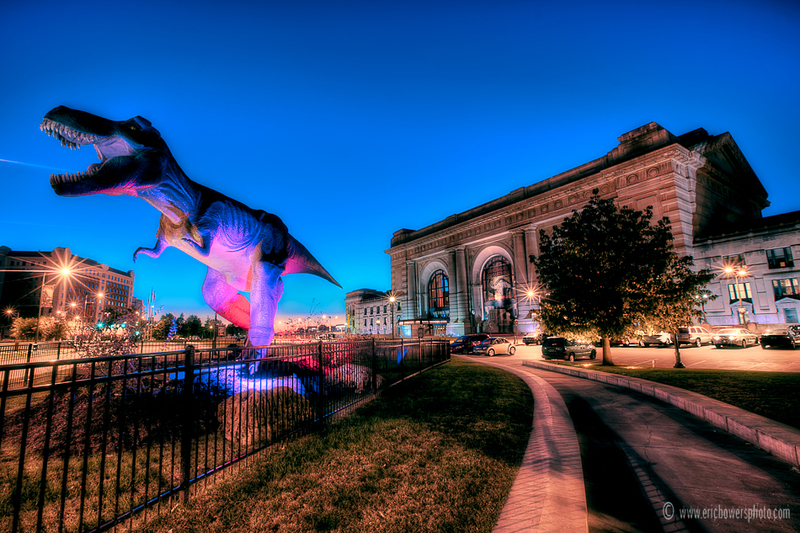 I’d been wanting to get a shot of the dinosaur prop outside Union Station under decent lighting. 7:35 pm, October 3, 2010. Something to pass the weekend with – I took the original photo on top of Liberty Memorial on Thursday, and thought it would be fun to apply some fancy Photoshoppin’ to get a symmetrical looking skyline photo.